Added cargo model and associated liveries: United, Fine Air, LAC, AIA. Added gsx.cfg files for passenger and cargo versions in the DC-8_50 folder. You must rename the files to switch to the cargo version. Updated paint kit for cargo version. Further improved tank selection initiation. Fixed reverser animation so they will not animate when engine not running. Connected take off warning to engine three throttle in addition to engine one. Corrected fuel pressure gauges so boost pumps don’t create pressure from empty tanks. Fixed fuel flow gauges to not show fuel flow before valves turned on during start. Added pop-up for control of external air, external electrical power, and cargo doors. “Shift 5” to access. Updated loader pop-up to accommodate both passenger and cargo variants. Changed clocks from local time to GMT. Changed heading select coding to allow external nav apps to control aircraft heading. Fixed bug causing hydraulic problems when cold and dark flight saved. Corrected animation of PT probe heaters switch and associated text on overhead. 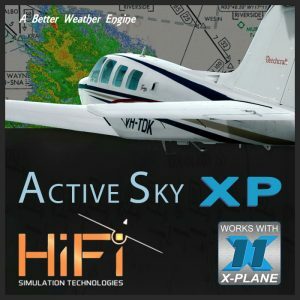 Note: Includes v1.00 for FSX and v2.0.0.0 for Prepar3D v4.